*Expired* Winning is Bliss… Hershey’s Bliss! Hershey’s Bliss is giving away 1,000 bags a day from now until October 8. Hershey’s is also giving away 25 Hershey’s Bliss parties (valued at $2,500) throughout the promotion. Enter the contest here. Limit one play per person and per e-mail address per day. With that many prizes, you have a decent chance of winning some chocolate! Thanks to Kathy for the tip! I won 2 times on the computer generated UPC! Just won my free chocolate w/a computer-generated code. They sent me an email and told me my coupon’s in the mail…YAY! Oh cool! I actually won one! And, I did use a computer-generated code! It only took me 3 days of entering. After entering 3 times, I won a free bag! I also used the bag they provided. Thanks so much for the sweeps tips! Just won this one today! YAY! I used the computer generated code. I won today with a computer generated code. Free bag of chocolate. I wonder if anyone has won with one of the computer-generated UPC codes? Thanks! I won a bag of chocolate! Yippee!! 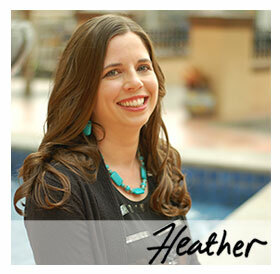 Next post: *Expired* Heather’s Back!